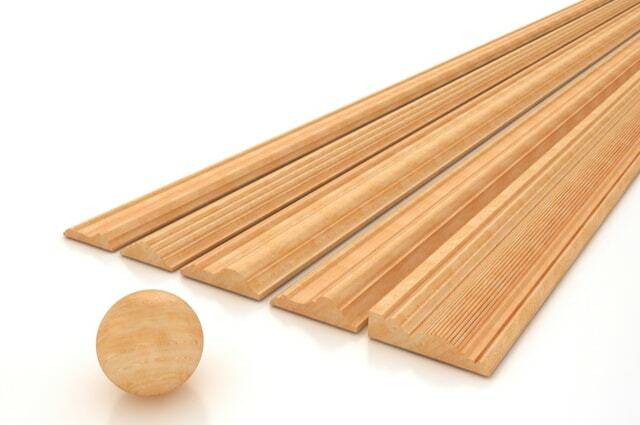 Wood mouldings have been in use for many years. Initially, wood mouldings were being used to mask any transitions between surfaces, since they had been used in skirting between the floor and the wall. Currently, people have started using timber mouldings as their décor in their homes. Wood frames can be found from different types with different purposes. They range from decorative mouldings, quadrants, Scotia to coving. Decorative timber mouldings add the finishing sense as well as the traditional style of all rooms in a house or office. Decorative mouldings have many designs. The decorative frame can easily be painted, stained or varnished to match someone’s existing décor or the colour of your choice. It can be used as the final addition to any flooring projects which use wood. It can as well be used to disguise the rough joints or any gap, which may appear on a surface. When purchasing the Scotia, you should have a clear distinction of the right size that you need to be used. The Scotia appears in many finishes including the red hardwood, white prime, light hardwood, pine, and oak. One can use this kind of moulding as either decorative mould so that it can aid in adding an extra definition and some style to your room. You can as well use it so that you can cover up the gaps in your place that make it look not kind that appear on the wood flooring. They are the best for concealing all edges of the chipboard, and any other sheet materials in addition to being ideal for consumption on the shelves and worktops. They are available in different designs. -The Hockey stick that is available in light hardwood and pine. -Twice round which is available in pine only. -The Half round, it is available in redwood, light maple, oak, and pine. Do not wait for your room to look bad with those unwanted gaps. Seek a professional who will advise you accordingly so that you can have your house looking good again. For any further information on the range of mouldings and beads supplied from Theo’s Timber, please contact us on 0161 834 6789 or send an email enquiry. What Is Birch Faced Plywood? Why Is Sustainable Timber So Important?